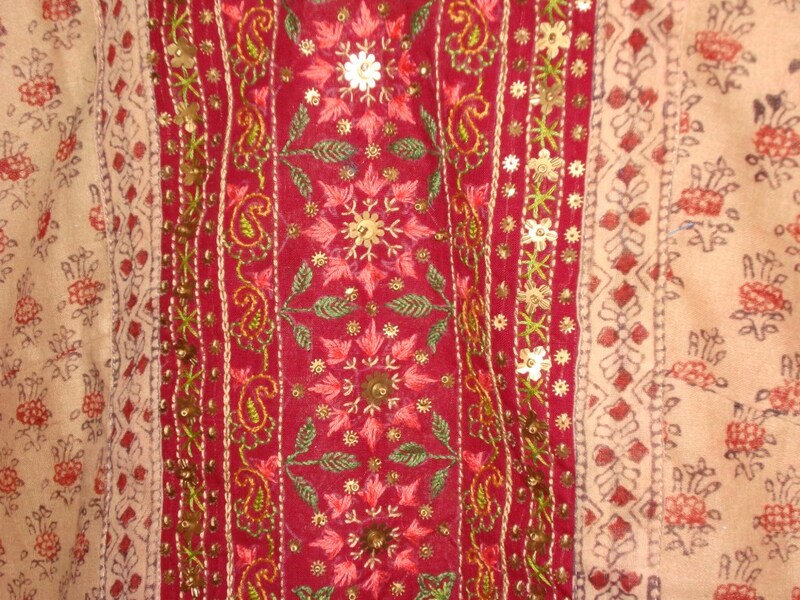 The completed yoke with the sequin and the beads when placed over the kalamkari fabric. At the time of working on this yoke, I had not got into the habit of picturing the work in progress. These days , I take pictures at different stages of embroidery to understand more. So the next picture was taken after completing the stitches , before I added the sequins and the beads. Straight stitch, back stitch, stem stitch. Fly stitch, chain stitch, herringbone stitch, detached chain stitch and double cross stitch. This is the only picture I have of the work in progress. 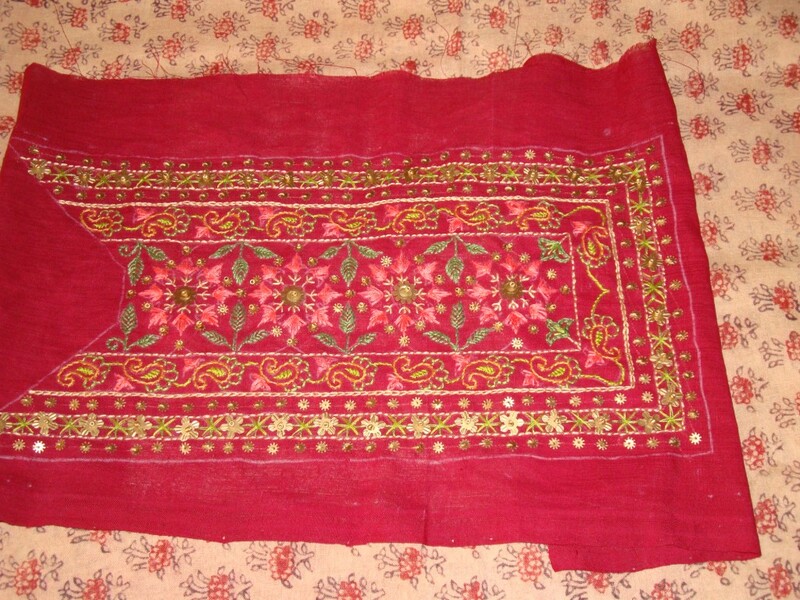 I bought this kalamkari[ vegetable dye work from Andhra Pradesh, India] block printed material over 15 years ago. The salwar[thick] fabric and the dupatta[shawl][thin] were a pair. The tunic top for this set was in maroon. 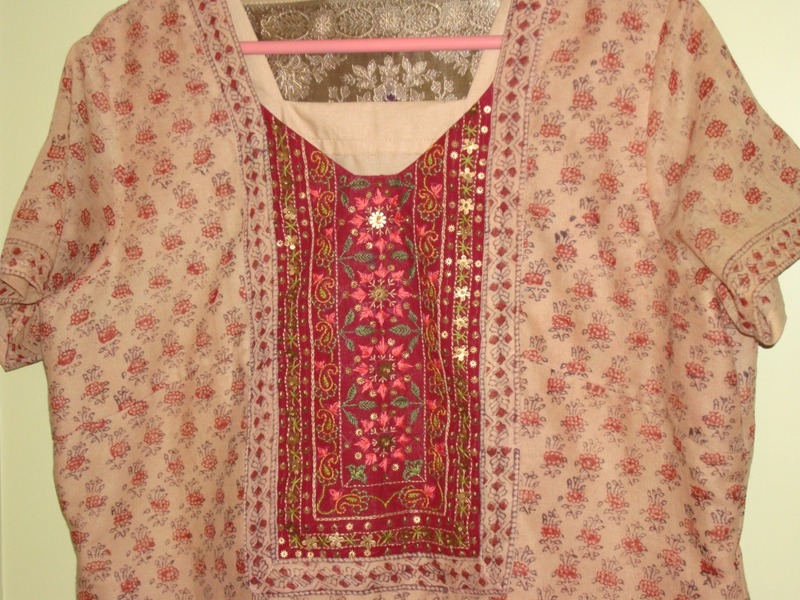 I did some kutch work on this top and wore this set for some time. I don’t have the picture of that set now. The top was given away. Then I made another top in dark peach colour. I had worked a simple border embellished with wooden beads. 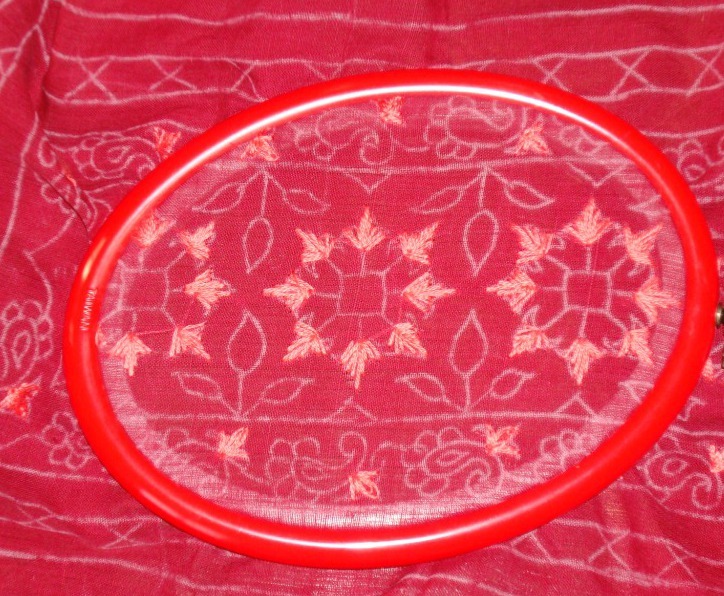 I kept the dupatta , while giving away the set. This time around the duppatta was on its way to become a tunic. 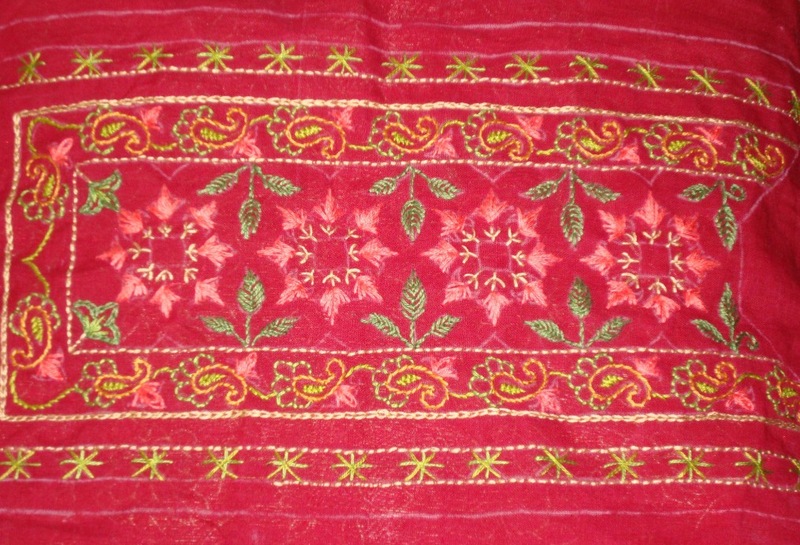 A maroon colour fabric was chosen for the yoke. The idea was to work embroidery on traditional Indian design embellishing with antique beads and sequins.